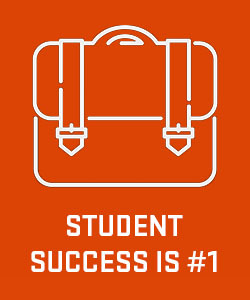 Oregon State's admission requirements promote student success by assessing student preparedness and academic potential in the unique context of each student's personal experience. Admission assessment will consider all achievements, both academic and non-academic, to enroll students with a broad range of characteristics and perspectives. Quality, quantity, and level of coursework throughout the entire high school program, especially coursework completed beyond the minimum courses required (see high school course requirements chart). AP, IB or college coursework completed or in progress. Strength of the program taken within the context of the high school attended. Completion of a progressively challenging math sequence, demonstrated by performance. Preferred cumulative grade point average of 3.0 and completion of 15 required subject area courses. Class rank taken in context with academic rigor and class size of high school attended. OSU requires students applying during their senior year of high school to submit SAT or ACT scores. OSU prefers, but does not require, the essay portion of the SAT test. Note: Only scores sent electronically from College Board (SAT) and/or ACT will be considered official and used for admission purposes. It is not an advantage to pay extra for "rush" scores and in some cases may add to the time it will take to process the scores within our office. The SAT college code for Oregon State University is 4586. 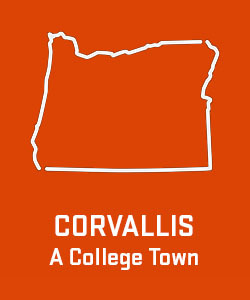 The ACT college code for Oregon State University is 3482. Understanding of you as a unique, contributing individual. Your accomplishments, perspectives, experiences, and talents. Your achievements within the context of your social and personal circumstances. Participation in activities that develop academic, intellectual, and leadership abilities. 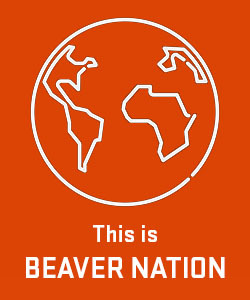 Oregon State is also looking for students who will lend educational and cultural diversity to our campus. We are looking for students who go above and beyond the minimum whether in talent, academic ability or potential. Combined with academic strengths, evidence of these characteristics may be considered in our review of applicants for admission. Applicants who are ineligible to re-enroll at any college or university that they attended within the last seven years for student conduct reasons will be automatically declined admission at OSU. Applicants who are unable to re-enroll at a previous college or university for academic reasons will be considered for admission only if they meet OSU’s minimum academic requirements. Applicants who have already graduated high school or received a GED and have earned fewer than 24 transferable quarter college credits (16 semester credits) will be reviewed for admissibility based on BOTH high school work or GED scores, and any transferable coursework. Learn more about transfer requirements. *Applicants are encouraged to contact the department that they want to apply for admission to determine the department's deadlines, notification times, and any other restrictions. Oregon State's Summer Session offers 4-week, 8-week, 12-week and special section options. Given its unique format and modified services, is not recommended for traditional first-time freshman entry. Freshmen who wish to apply for summer will be considered for admission in the same manner and with the same deadlines as freshmen applying for fall term. A complete application consists of the application, fee, and all required support documents (i.e. transcripts, test scores, citizenship documents, etc.). New freshmen wishing to be considered for admission as part of the Priority Application round must apply by February 1. Documents required to make a student’s file complete must be received by the Office of Admissions by February 15. Applicants who do not meet these deadlines will be considered for admission on a space-available basis. Online applications must be submitted before 11:59 p.m. Pacific Time to meet the deadline. You are responsible for submitting all materials well in advance of the deadline in order to avoid complications/delays in delivery and because additional information may be required before your application can be fully processed and reviewed. Oregon State's Early Action option provides some applicants with an earlier admission decision and scholarship notification (if eligible) and allows applicants more time to make campus visits and to consider their options. Early Action is non-binding; it does not obligate applicants to select Oregon State if admitted. Early Action and Regular Application applicants are reviewed according to the same admission criteria and procedures in the holistic review process. Early Action applications not completed by November 1 are rolled into the Regular Application pool. You should check your application status online for the most current information; instructions to do so typically are emailed within 72 hours after an application has been submitted online. Because each application is given full holistic review, some applications take longer to review than others. Early Action and Regular Application applicants are reviewed according to the same holistic review process, and there is no advantage given to applicants in either pool by nature of the deadline selected. Applications may be held for consideration within the context of the competitiveness of the applicant pool and/or additional information may be requested before a decision can be rendered, particularly when applicants do not meet priority consideration standards. For example, some Early Action applications may be rolled into the Regular Application pool to allow time for students to strengthen their applications with additional academic work (7th semester transcripts). 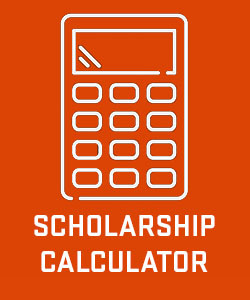 The application for admission also includes an application for admission-based scholarships. Notification of scholarship awards begins in mid-November and continues through March. Any applicant who is denied undergraduate admission to Oregon State University may petition to the Undergraduate Admissions Committee (UAC) for an exception. Decisions on appeal will be determined by the Undergraduate Admissions Committee and are subject to Oregon Public University System guidelines for special admissions. Each petition for appeal is assessed on an individual basis. Learn more about the appeals process. ensure they can receive e-mail from osuadmit@oregonstate.edu by adding that address to their address book and/or safe senders list.